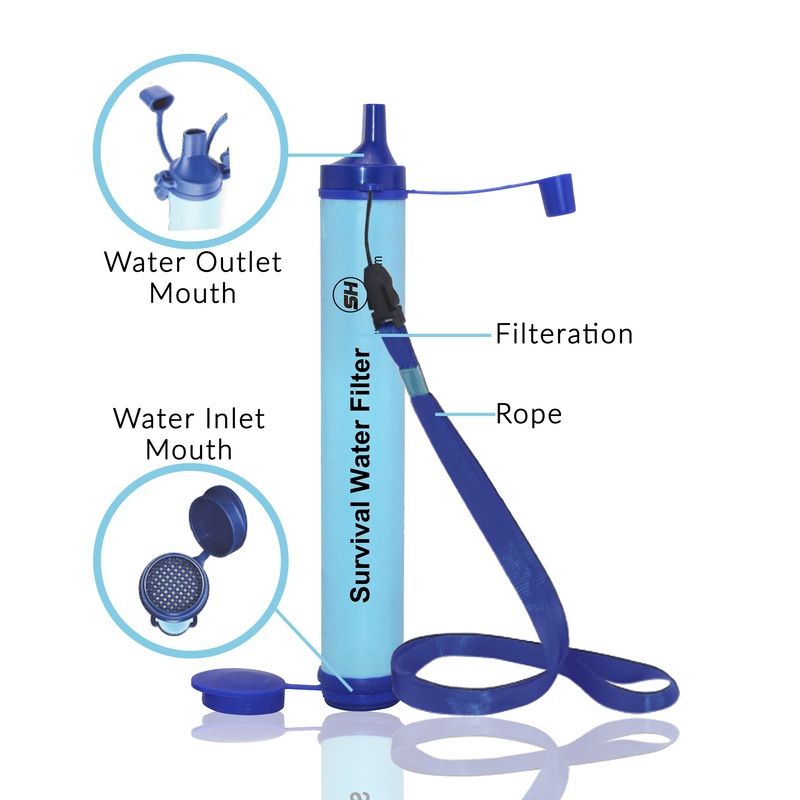 Designed to be a carry on item for hikers, campers and backpackers the Survival Water Filter is lightweight and comes with a travel strap. Campers get all of the benefits of a heavy duty water filter, at a fraction of the size. - Filter up to 396 gallons of drinkable water with one straw. - Lightweight and easy to store. - Ranked the #1 "must have" item for backpacking.